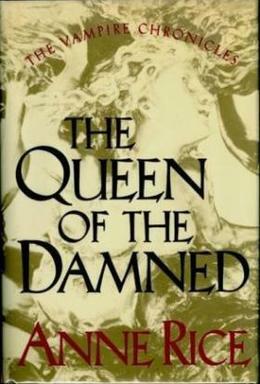 Get your copy now of Queen of the Damned!! Discussion starts in September 2014…..More to come next week!! Partake in the most lively brouhaha, coming out of the mouths of the living dead, by joining the Lestat Book Coven!! We are counting down, with style and intelligence,for the very exciting release of the The Vampire Lestat. Over at the Facebook Group Page for this esteemed group, there are always many discussing occurring about issues related with specific characters and events from the Vampire Chronicle novels, the best actor to portray our favorite damnable rascal of a vampire Lestat, and who is the voice, and what is the motive, or ethical viewpoint of this pernicious, enigmatic voice, as seen in the first chapter of the upcoming novel Prince Lestat (being released everywhere October 28th, 2014). Beginning with next week’s newsletter (posted always on Thursdays, for your convenience), there will be more exciting new features to further streamline the next two month wait period for Prince Lestat. We are almost there, and this group will continue to keep your excitement below the stage of being unendurable!! ** All Essays are now due on November 13, 2014. The anticipated date of publications, through any site where ebooks are made available, will be anywhere between January-February 2014. For those that have been out of the loop in terms of news about Coven of the Articulate, you should know that this is an all-new scholarly compendium, being published just in time for Lestat’s much awaited return. Thus far, I have received three wonderfully comprehensive essays, pertaining to Anne Rice’s works, and the writers of those articles will be hearing word back from me soon, about whether or not their essay will be included in this new volume. Right now, you are more than welcome to begin working on your own essay, as long as you follow the guidelines as list on the separate blog link I linked above to! This is yet another brazen attempt for me to further encourage more intellectual discourse about Anne Rice’s underappreciated literary masterpieces (not under-appreciated by fans, but the more pretentious members of academia). If you have any questions about Coven of the Articulate, send any inquiries,questions and suggestions to narniafanatic(at)gmail(dot) com. HEAR THE FIRST CHAPTER OF PRINCE LESTAT READ ALOUD, BY YOUR ESTEEMED COVEN LEADER! **Since some people may subjectively find my reading voice to be either cacophonous or annoying (finding someone’s voice to be unpleasurable or unseemly is subjective), you may decide to read the first chapter excerpt of Prince Lestat yourself. BIG MOVIE NEWS; Lestat has spoken! So, what does this mean for fans of the Vampire Lestat? 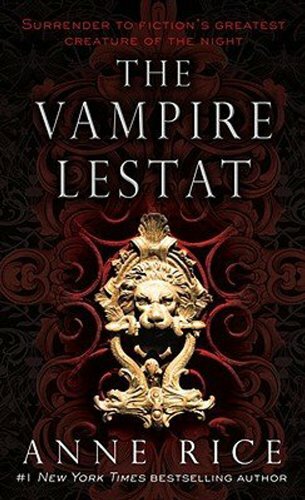 Well, it means that we will hopefully be seeing a film adaptation of Anne Rice’s sophisticated vampire novels, sometime in the next four or five years, that is an adaptation that is faithfully rendered and has fidelity to the text. At Thrillerfest this past summer, I had the wonderful, very much unforgettable opportunity to interview Anne Rice (and, I do not need to elaborate on her writing credentials; you know who she is). Thanks to both Anne Rice and her wonderful assistant Becket for making this interview a very enjoyable, stress-free experience. For me, this was a remarkable opportunity, since in many humble respects, I am just a passionate book blogger, who has been mainly writing rather in-depth posts about Anne Rice’s books for nearly four years and counting. It is not the group itself that allowed this opportunity to happen. Incidentally, this interview came mostly about because of the unwavering support of all 900 (approaching 1000) or so remarkable members of the Lestat Book Coven over at the Facebook Group Page. I posted the two parts below, and I know there is some continuity issues between the end of Part 1 into Part 2. Due to some inevitable technical glitches, the transition between both parts seems kind of abrupt. Enjoy it, nonetheless, and thanks again to everyone that enthusiastically has joined in our coven discussions, for all the various individuals that produced such thoughtful questions, finally to Anne Rice and her assistant Becket for making this entire thing possible!! Procure your copy now, for our upcoming discussion! Don’t let the coven start without you!
. I’ll always be posting Facebook post updates about each post either on Anne Rice’s Facebook Fan page, the Lestat Book Coven Facebook Group page, and the mailing list for the Lestat Book Coven (embedded hyperlink will take you to page to sign up for this). Our next live chat will be August 31, 2014 at 2pm. Eastern via Google Hangout on Air, and we will be discussing the character of Armand in-depth; his unique machinations of deceit, his subtle moments of vulnerability, how his story is one of abuse and how it can deeply affect someone (and how this sheds light on the moral complexity and ambiguity of Marius and Armand) More details about this live chat, and contest details can be found by clicking “More” below, if you’re reading this from the main home page for my blog. Re-read any sequences, involving Armand, (particularly his succinctly-written backstory in The Vampire Lestat, the Children of Darkness segment, and his encounters with Lestat) so we can discuss certain facets of his character in depth! For the next two consecutive weeks, we are discussing the characters of Armand (and his shadowy coven), and Marius/Akasha, as they are described in the second installment of the Vampire Chronicles–The Vampire Lestat. The reason for this drastic change in our discussion format is not just to save time, but it is also to help us better focus on things that will prove important to recall or remember, when reading Prince Lestat, come this October. This is the first Vampire Chronicles novel, since Queen of the Damned,dealing with all the vampires introduced in the series! Basically, what do you feel are the defining characteristics of Armand? Do you find his deceptive machinations admirable, justified, or altogether unconscionable? Do you feel sympathy for him, after glimpsing into his past-story, involving probable abuse of some kind? Knowing how abuse can have a deep, and sometimes irreversibly damaging effect on the psyche of a character, how does Armand’s behavior seem to make more sense, given this past life story? What about Armand makes him either endearing to some, and vile (and altogether unlikable to others), and is this what adds to the appeal of Anne Rice’s writing, where her characters are always very fleshed-out, and portrayed in morally ambiguous ways, in much the same way George R.R. Martin’s characters in his very popular Game of Thrones series? **For the upcoming chat, make yourself a cup of tantalizing Golden Moment Tea, or the Prince Lestat Custom Tea Brea (courtesy of Bibliophile Teas). Take a photo of your tea with your copy of The Vampire Lestat! **If you wish to make this into an iced tea, use two tea bags, and a two-cup measuring cup. Steep those two tea bags for approximately 10 minutes (for certified robustness of taste), add your dry spices & extracts (as listed above). Pull tea bags out, throw away in trash receptacle (vampires disdain littering), add ice cubes to chill the tea, then pour tea into a larger glass container, after it is properly chilled in your two-cup measuring cup, then add more ice cubes (an arbitrary amount, as much as needed, essentially), add water till the container is full of a mixture of both your 2-cup tea concentrated mix with a fair amount of tap water (or purified spring water) to create a heady, vampire iced tea combo!! Drink to immortality! !